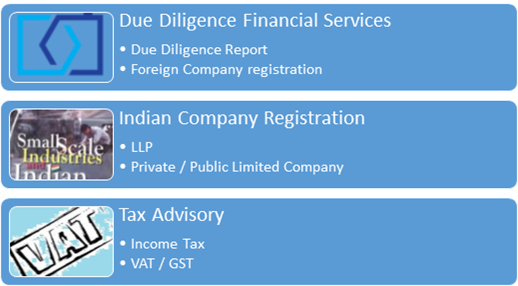 If any person or group of persons, who trade or carry on business in any manner under any title or description or name as a foreign company registered under the Act or the rules made there under, that person or each of those group of persons shall, shall be liable for investigation under section 210 of the Act and action consequent upon that investigation shall be taken against that person. The punishment has been increased, wherein a foreign company fails to comply with the provision of section 387, Section 388, Section 389 and Section 390 of the new Act. Under the old Act, such companies were punishable with imprisonment for a term up to 6 months or with fine up to fifty thousand rupees or with both. Also, punishment for default in case a foreign company fails to comply with any other provisions applicable on foreign companies in respect of document to be delivered to Registrar after commencement of business in India, return to be delivered to the Registrar where documents are altered, accounts of foreign company and every officer of the company in default was punishable with fine which may extend to ten thousand and in case of a continuing offense, with an additional fine of one thousand rupees for every day during which the default continues. However under the New Act, a general penalty is prescribed for default of any of the provision of this chapter. Now, the company in default shall be punishable with fine which shall not be less than one lakh rupees but which may extend to three lakh rupees and in the case of a continuing offense, with an additional fine which may extend to fifty thousand rupees for every day during which the default continues and every officer who is in default shall be punishable with imprisonment for a term which may extend to six months or with fine that shall not be less than 25000 rupees but which may extend to extend to 1 lakh rupees, or with both. Due Diligence Financial Services provides services to bank in the field of Due Diligence Report for their customer before sanctioning loan about their physical existence, goodwill and market coverage. And services includes Company registration in Delhi Gurgaon Noida which includes Section 8 company registration or OPC Registration or LLP formation or annual filing of private limited company or annual filing of public limited company as well as LLP in Delhi Noida Gurgaon. 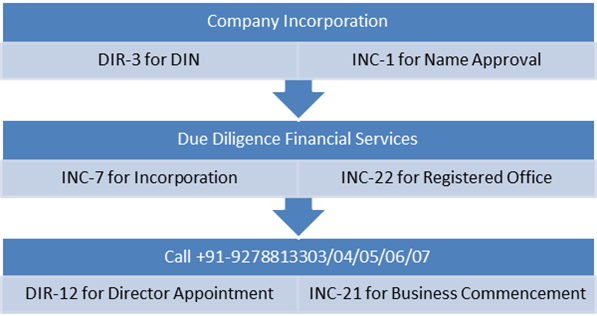 For any new company registration under companies act 2013 at the time of incorporation an affidavit from every subscribers to the MOA and who named as First Directors in the Articles of Association in Form No INC-9 and shall be submitted that proposed first director is not convicted of any offence in connection with the promotion, management or formation of any Company previously or that he has not been found guilty of any fraud or misfeasance or of any breach of duty to any Company under this Act or any previous Company law during the preceding 5 years and that all the documents filed with the registrar for registration of the Company contain information that is correct and complete and true to the best of his knowledge and belief. In case of incorporation of Company, an address for correspondence until registered office is established shall also be provided. Documents filed for incorporation shall be maintained at the Registered Office till dissolution. Any person who deliberately furnishes any false or incorrect particulars of any information or suppresses any material information in any document filed at the time of registration of a company will now be responsible for fraud under Section 447 and will be subject to stringent punishment. In case company is found at any time after the incorporation, it has been proven that Company has been registered by furnishing any false or representation or by suppressing any material fact or incorrect information or information in any of the document or declaration filed or made for incorporating such company, or by any fraudulent action, the Promoters, the person named as the First Directors of the Company and the person making declaration under clause (b) of sub-section (1) shall each be liable for action under Section 447 and will be subject to stringent punishment. The application for incorporation of the Company shall be filed in Form No. INC-7 for company Other than One Person Company and for OPC in From INC-2 along with the fee as provided. At the time of witnessing the signatures of proposed first director or subscribers to the Memorandum of Association, the witness shall also certify that he has verified the ID proof i.e. Voter Id or Driving License or Passport or Aadhaar etc. of the subscribers for his/her identification and has also satisfied himself about their particulars. The declaration by an advocate, a chartered account, cost accountant or company secretary in practice shall be in Form No INC-8. Particulars of first directors of first directors along with their consent and details of his interest in other firms and bodies corporate shall be field in Form no DIR-12. We are one of the Top Delhi NCR’s Company Registration Consultant and provides Company Formation Services in Delhi Gurgaon Noida Ghaziabad whole Uttar Pradesh Bihar Patna Deoghar Jharkhand Ranchi etc. The act makes provisions relating to Private placement of all the securities and not only shares. The act also defines Private placement as any offer of securities or invitation to subscribe securities to select group of persons by the company (other than by way of public offer) through issue of private placement offer letter and which satisfies the condition specified in this section. To make an offer or invitation of securities to a section of public other than Qualified Institutional Buyers and Employees of the Company under ESOP otherwise than through issue of a Prospectus, by issuing a Private placement Letter of Offer or by way of private placement, in form PAS 4, no. of person to whom an invitation or an offer is made should not be more than two hundred persons in aggregate in the Financial year. An offer of securities or invitation to subscribe securities shall be made through Private placement Letter of Offer, in form PAS 4, to a selected group of persons by the company (other than by way of public offer) only if the proposed offer has been approved by the shareholders of the company, by way of special resolution for each such issue. It is important to take note that now all types of securities are covered under the ambit of Private placement. The explanatory statement to the G.M notice should contain the basis or the justification for the proposed issue price. This offer Document is needed to be serially numbered and addressed specifically to the concerned person. It can sent either in writing or in electric mode, within a time period of 30 days. As per Rules, the minimum investment size has to be Rs. 20,000 per person in terms of Face Value. The act further provides conditions through which invitation can be made, the section, along with corresponding Rules also provide that no fresh allotment to be made unless all the earlier allotments of any other security are completed or withdrawn. The act further provides that company shall allot securities within 60 days from date of receipt of application money, if it does not allot within 60 days then repay application money within 15 days after expiry of 60 days and if company does not pay money after the aforesaid period the company is liable to repay the money with interest at 12% per annum from expiry of 60 days. The monies received shall be kept in separate bank account with a scheduled bank and to be used for purpose provided in this section. The act further provides that the offer to be made only to such persons whose name is recorded prior to the invitation to subscribe. The complete record of the offer and acceptance and form of Private placement Letter of Offer in form no PAS 4 shall be filed with to the Register and in case of listed companies, with the Securities and Exchange Board of India (SEBI) as well, within a period of 30 days of circulation of private placement offer (which shall be the date of the said Private Placement Offer Latter). The provisions this Section and the Rules shall not be application to any non-banking financial (NBFC) company which is registered with the Reserve Bank of India (RBI) Under RBI Act9, 1934 and housing finance companies which are registered with the national Housing Bank (NHB) under National Housing Bank Act, 1987, if they are complying with the regulations made by Reserve Bank of India or NHB in respect of offer or invitation to be issued on private placement basis. Provided that such companies will comply with provision relating to maximum number of people and value of investment, if the RBI or NHB has not specified similar regulation. 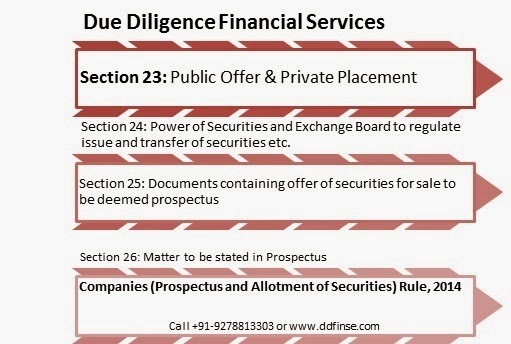 Due Diligence Financial Services is reputed Company Law advisor relating to Company Formation or Company Registration in Delhi or any states or cities of India such as Gurgaon Deoghar Ghaziabad Dhanbad Noida Jharkhand Ranchi Bihar Patna etc.. Company registration Consultant in Delhi or any cities or states of India such as Dhanbad Noida Jharkhand Ranchi Ghaziabad Gurgaon Deoghar Bihar Patna etc. 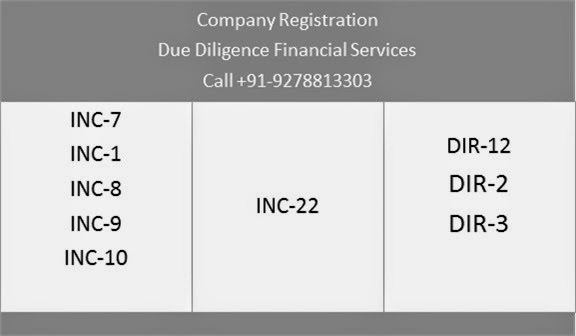 Besides Private limited Company or Public Limited Company registration ddfs provides OPC incorporation or Section 8 Company registration or Partnership Formation and LLP Registration. The company liquidator had to be appointed from the panel prepared by the central government. Now on appointment as Company Liquidator, such liquidator has to file a declaration in the prescribed from within 7 days of the date of appointment disclosing conflict of interest or lack of independence in respect of his appointment, if any, with the company and the creditors and such obligation shall continue throughout the term of his or its appointment. Now only one company liquidator shall be appointed as opposed to the Companies Act, 1956 where more than one can be appointed. The creditor shall in both the cases where they approve the liquidator appointed by the members or while appointing their own liquidator shall fix remuneration. The power given to director or member to file an application before the Tribunal that liquidator appointment by creditor should be appointed or some person to be appointed as liquidator has been dispensed with. The company in its AGM meeting shall fix the remuneration if any, to be paid to the liquidator or liquidators. The provision that any remuneration so fixed shall not be increased in any circumstances whatever, whether with or without the sanction of the Tribunal has been dispensed with. The provision that till the time the remuneration of the liquidator or liquidators is not fixed he shall not take change of his office has been dispensed with. The provision doesn’t specifies what will be the course of action if creditor neither appoints their own liquidator nor approve the liquidator appointed by the member. 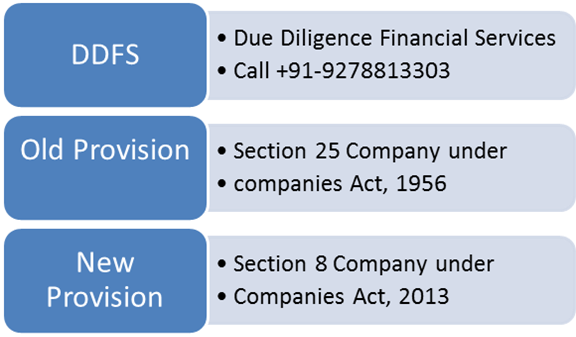 Besides company liquidation Due Diligence Financial Services provides Company registration in Delhi NCR including Gurgaon Ghaziabad Noida Uttar Pradesh Bihar Patna Deoghar Dhanbad Ranchi Jharkhand etc. We provides Company consultancy services in terms of Book Keeping VAT Services ITR Filing Services Import Export services Fixed Assets Tagging Services XBRL consultancy services including Company registration Consultant in Delhi NCR includes Deoghar Bihar Jharkhand Ranchi Gurgaon Ghaziabad Uttar Pradesh Noida etc. At the of Company Formation there required an affidavit from every subscribers of MOA and from person named as First Directors its AOA, if any, in the Articles in From No INC.9 shall be submitted that he is not convicted of any offense in connection with the promotion, formation or management of any Company , or that he has not been found guilty of any found or misfeasance or of any breach of duty to any Company under this Act or any previous Company law during the preceding 5 years and that all the document field with the Registrar for registration of the Company contain information that is correct and complete and true to the best of his knowledge and belief. Where, if it can be found at any time after Company Registration in Delhi Gurgaon Noida Ghaziabad Deoghar Dumka Patna Ranchi Dhanbad Uttar Pradesh etc, it is can be proved that the Company has been formed by furnishing any incorrect and false information or representation and by suppressing any important material fact or information in any of the documents or declaration field or made for incorporation such company, or by any fraudulent action, the Promoters, the persons named as the First Directors of the Company and the persons making declaration under clause (b) of sub-section (1) shall each be liable for action under Section 447 and will be subject to stringent punishment. Apart from the punishment, the Tribunal may also on an application, if satisfied, that wrong information or representation is made or material facts have been suppressed at the time of incorporation, it may order for monetary punishment and imprisonment to First Directors, Promoters and the person giving such declaration. The application for incorporation of the Company shall be field in Form No.2 (for One Person Company) and Form No. INC.7 along with the fee as provided in the Companies (Registration offices and fees) Rules, 2014 for registration of a company. Under the Companies Act, 1956 the said from was Form No 1. The rules also provides the manner of singing of memorandum in a case of subscriber is illiterate, a body corporate or foreign national. Where subscriber to the memorandum is foreign national and visited India for purpose of incorporating a Company, then no apostlisation or notarization is required provided he has a valid business License. The requirement of business License is not applicable to foreign national who are of Indian origin or overseas citizen of India. For Company Incorporation in Delhi Gurgaon Noida etc. there required a declaration by a chartered accountant or an advocate or cost accountant and company secretary in practice shall be in Form No INC.8. Under .the Company Act 1956 the said declaration was in Form No 1. Certificate of incorporation and address proof, in case of foreign bodies corporate. Particulars of first directors along with their consent and details of his interest in other firms and bodies corporate shall be field in Form no DIR.12. Company Registration Consultant in Delhi Deoghar Patna Bihar Jharkhand Ranchi Dhanbad Ghaziabad Gurgaon and Noida.